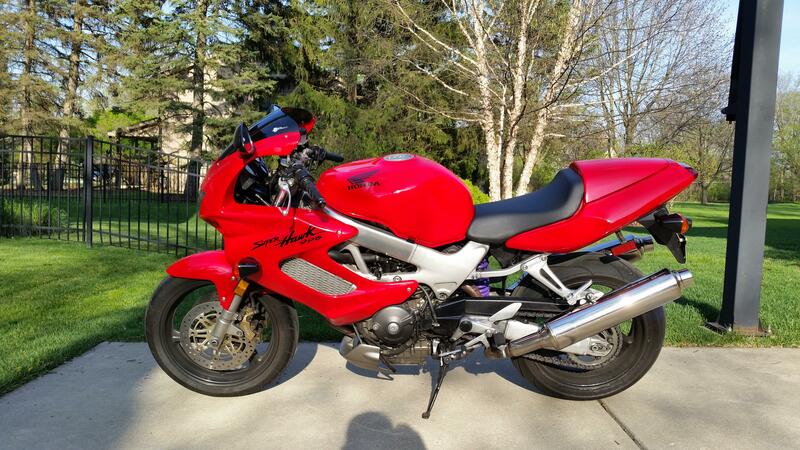 Hey there everyone I just purchased a 1998 VTR1000 and wanted to say hello. I was able to find a borderline stock (except for the suspension) example with 15,000 miles on it and jumped at the chance to buy it. 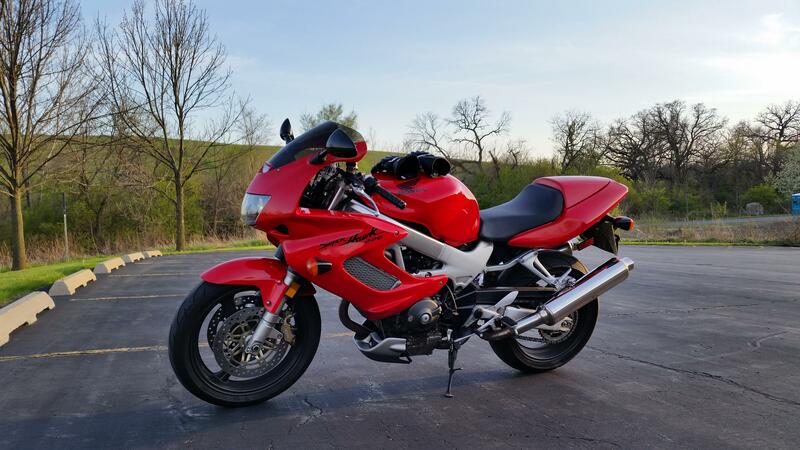 I test rode an SV1000 but didn't like the one I was riding and am glad I waited for this one. I am exploring the bits and pieces that need to be replaced (rectifier/regulator, CCT etc.) and would love any tips and suggestions to keep this bike running long term. I love the looks and ride of the bike and am planning on keeping it for a very long time . I was wondering if any of you had an opinion about swapping a stock CCT for another brand/newer automatic CCT rather than a manual one? I am located in Chicago IL btw. If you are going to stick with autos, just do so with the OEM ones, replace every 10k miles or so ..(or some set of years) and ride on. Or install a manual CCT CORRECTLY and forget about it. Welcome to the forum! Great bunch of (pick your favorite term of endearment or expletive here) on this site. Oh... and I second what Erik said above plus, from my experience, change the reg/rec sooner than later. and search for "stopper mod". It is a mod that allows automatic tensioning and prevents catastrophic failure if the spring breaks. Welcome, and you can't go wrong with advice from E. Marquez ! Thanks so much for the advice guys. I'm trying to decide if it's worth the effort to buy a cheap rectifier off an R1 or just do it right and get an aftermarket one. I'm not a genius with electronics and don't want to risk anything going wrong. I'm checking out the stopper mod post now because I had never even heard of that. or complete kit that E posted..
hey hilbili, welcome to the forum! That was true a few years ago.... Now not so much, and MOSFET Shunt is now as old school as the diode shunt installed as OEM. The Shindengen SH775 or better SH847 is the current newest best. And available as an OEM part on its own from a 2014 or newer DL1000, or as a kit as linked if you do not want to build your own wiring.